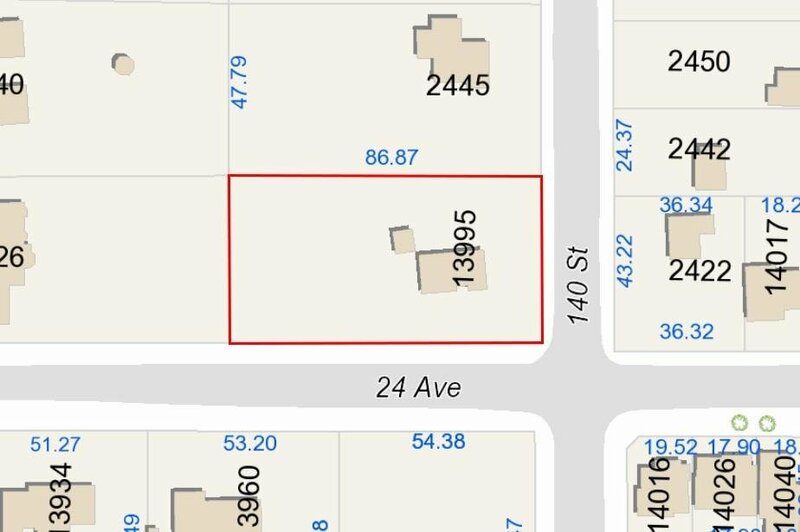 Large over 1 Acre, 43,570 sqft (285' x 152.8') corner lot at 24 Ave & 140 St in the Elgin Chantrell area! An excellent opportunity to RENOVATE, BUILD YOUR DREAM HOME or hold for future potential. 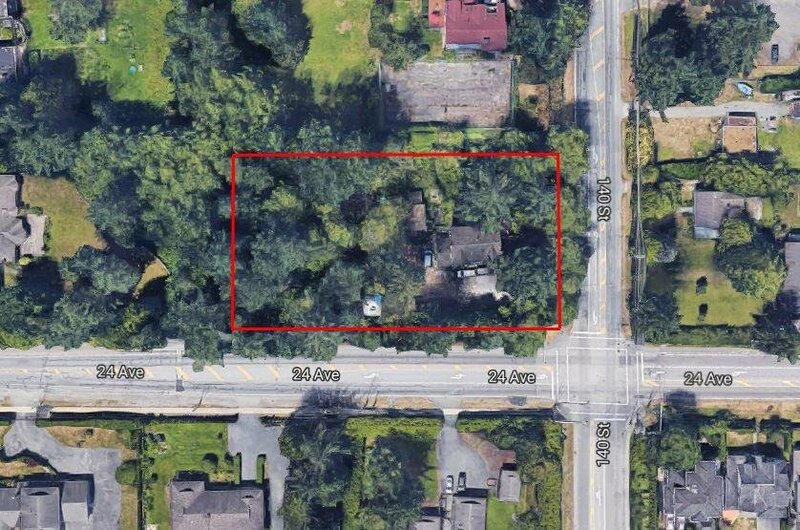 Centrally located, close to shopping up Town White Rock, Crescent Beach or Ocean Park Village, easy access to Highway 99. Skating rinks, tennis courts, bike trails, recreation centre and many parks are just 5 minutes away. Close to the best School Catchments: Chantrell Creek Elementary & Elgin Park Secondary. Land value only.